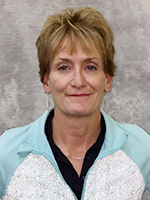 Coach Patricia (Patti) Delaney is the current Gymnastics manager. In 2002 Patti started writing a proposal describing precisely how she wanted the gymnastics program to be at the Wayne Curry Sports and Learning Complex in Landover, MD. This meaningful concept was approved by the managers of the complex and the higher ups-at the Maryland National Capital Park and Planning in 2004. In the first three years, the Sportsplex Gymnastics team won almost every Level 4 event throughout the state and during a Level 5 State Championship, Sportsplex won all four competition levels at home, defeating 20 teams.